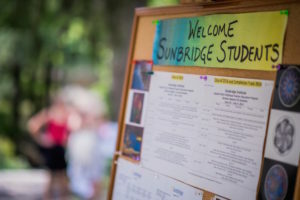 Thank you for considering Sunbridge for your Waldorf teacher education. I’m Penelope-Myles Voss, Admissions, Alumni, and Summer Coordinator, and I’m here to help guide you through our admissions process. Just starting to investigate Waldorf teaching? If you’re still in the investigation phase of exploring Waldorf teaching and teacher education, I encourage you to take the time to look through our website. 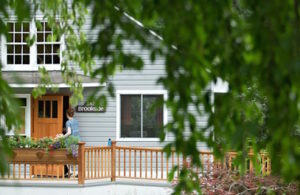 You’ll find lots of information here to help you understand what sets Waldorf Education apart from conventional schooling, what Waldorf teaching is all about, and how to prepare to become a Waldorf teacher. So do take the time to look through our pages. 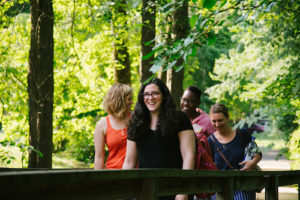 Throughout the year, we offer several events designed to introduce the public, including prospective program students, to various aspects of Waldorf Education, Waldorf teaching, and Sunbridge’s teacher education programs. Our “Waldorf Weekend,” held each January and July, will give you a thorough grounding in the Waldorf philosophy and curriculum, while Open Days, held in October and February, provide insight into Waldorf teaching and what Waldorf teacher education at Sunbridge entails. Check our Events Calendar to find upcoming dates for these—and other—opportunities. You may also want to contact a local Waldorf elementary school or nursery/kindergarten to learn what events they may have to offer fledgling Waldorf educators and others interested in finding out about Waldorf Education. If you would like to learn more about Waldorf teaching, studying at Sunbridge, or our application process, or to schedule a phone conversation or in-person meeting, I invite you to fill out our Inquiry Form or to email or call me directly at info@sunbridge.edu / 845-425-0055 x20. I’m in my office each weekday between 10-4 (although sometimes you can catch me there earlier or later). If you’ve already submitted an application and have a question about its status, I encourage you to contact our Administrative Assistant, Jennifer Melendez, at jmelendez@sunbridge.edu or 845-425-0055 x17; Jen is generally in her office from 8:30-2:30, Monday-Thursday. I look forward to helping you on your path to Waldorf teaching, and wish you a wonderful journey!